Cottonwood tree in the fall. Olive tree 'Olea europea' on bar, montenegro which is over 2,000 years old. 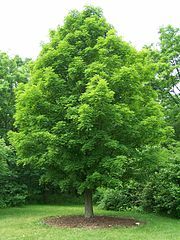 Chinese toon tree (Toona sinensis). Buds, capsules and foliage of Eucalyptus. The Biscarrosse elm, france, planted 1350. Ochroma pyramidale at the large tree habit at tropical gardens of maui.